I have been delighted by my experience at Bounty Road Dental practice. Have lost all or some of your natural teeth? Bridges, dentures and flexible dentures are not the only solution, thanks to advances in modern dentistry. Bounty Road Dental Practice offers an effective and innovative solution to missing teeth; we are the leading provider of dental implants in Hampshire. Dental implants are small metal screws that are placed in the jaw so that crowns, bridges and dentures can be fixed onto them. These are made from safe and durable materials, such as titanium and titanium alloy, which can develop a close union with the bone and provide full support to the replacement tooth or teeth. When used properly, implants can deliver quality, reliable and long lasting results. 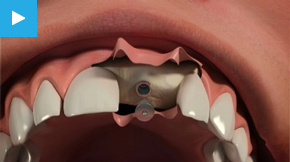 Typically, an implant acts as a substitute for a natural tooth root. The main goal of implant installation is to develop a close contact with the surrounding bone and tissue, and prepare the area for the replacement tooth. Once the new set of teeth is in place, you can smile, talk, bite and eat confidently. At Bounty Road Dental Practice, we focus on helping you get the best results modern implant dentistry has to offer. We do not just give you back your naturally beautiful smile, we help you regain confidence and live the happy life you deserve. 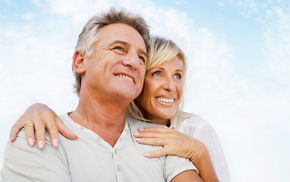 We know that you can enjoy life more if you have a complete set of teeth, which is why we make our Hampshire dental implants service easily accessible. Come to our practice and we will show you how we can help. We will create a treatment plan that suits your specific cosmetic dentistry needs. We will make sure you will get the service you deserve throughout the treatment process, from the initial consultation to the installation of your dental implants. Contact us today to enquire about our implant dentistry services in Hampshire and to book a consultation with our orthodontist.